The funny thing is, I can install an older version of the app (1.0.3.7) which still works, but it keeps telling me to download the updated version. 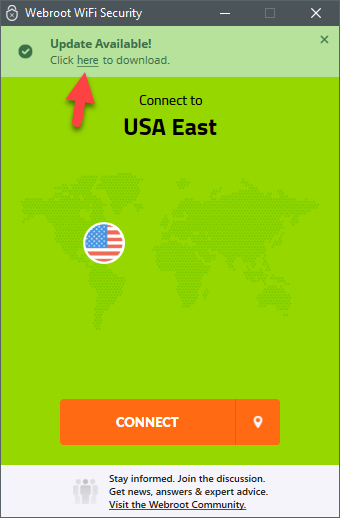 Whether I download the update from within the app or from the link above, it will not install. 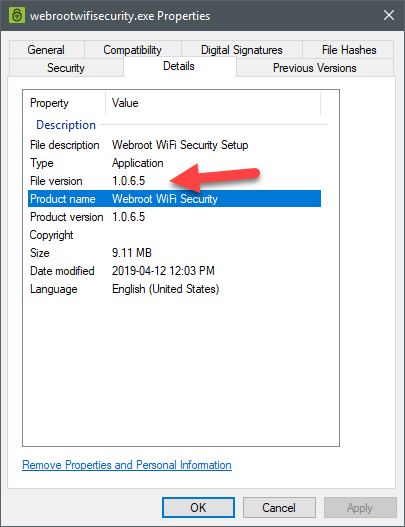 Would it be possible for another member to try downloading the WiFi app for Windows from the above source and tell me if you're able to install it. If you can, then it's something on my end. If you can't then it's something on Webroot's end. I just did the update and installed over top without issues! @LLiddell can you find the release notes for this version please? Thanks for checking @TripleHelix , it must be something on my end. I'm curious, though. 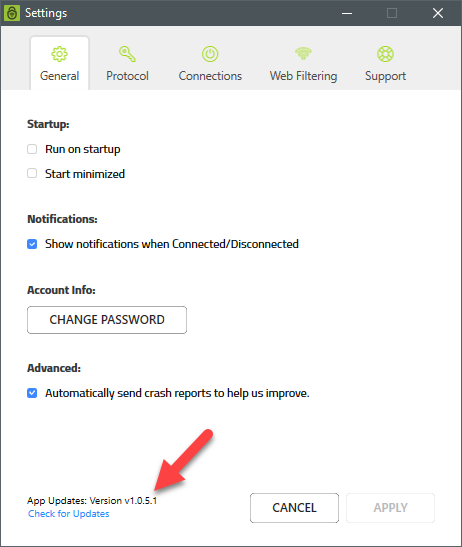 If you're running the latest version, why is it telling you and update is available? 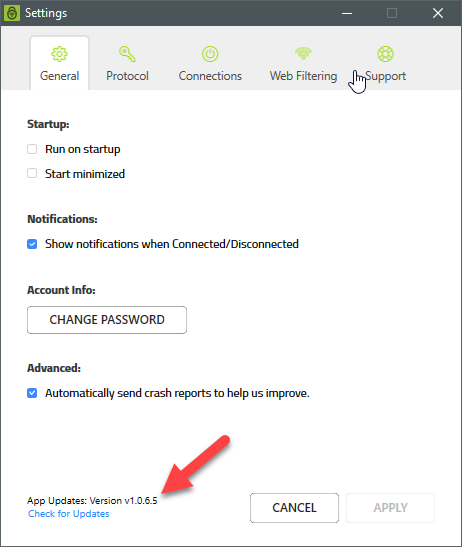 I cannot install the latest version whether I already have the older version installed or not. Don't know why I can't install. I've DL'd it 6 times and none will install. I wish I could see what the notification that pops up says, but I can't it's too quick. I'm about to give up and just use Opera's built-in VPN, on this PC, anyway. Well, I'll be damned. It was VooDooShield that was blocking the install, but without any of the usual dialogs presented by VS that normally would occur during an install. Odd. But at least I've figured it out. It was driving nuts and absolutely nothing else was going to get done until I figured it out. Glad it didn't take me all day. Thanks again for you input@TripleHelix , it's much appreciated. The Pictures were not in the correct order so go from the bottom up, but I did need the update and clicked to get the new installer and installed over top! Yes VS can do that but it didn't give me any issues as I Allowed during install via the pop-up.